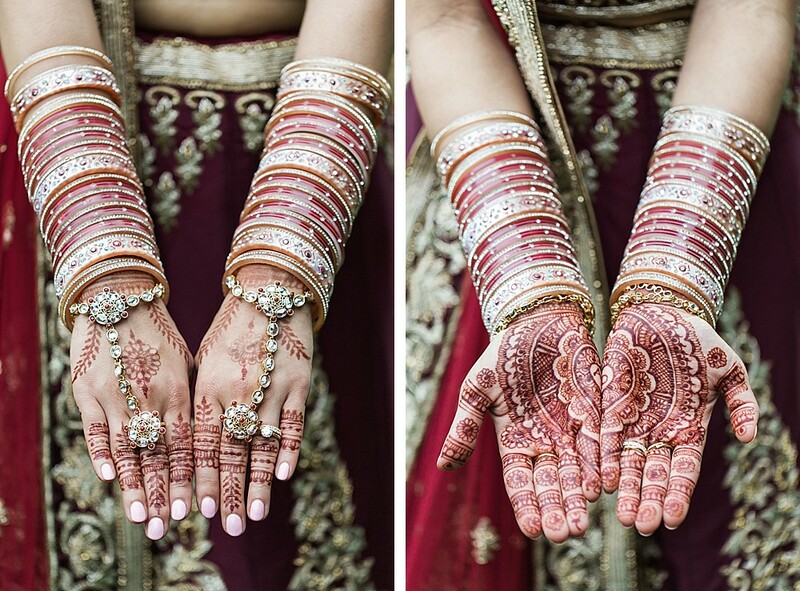 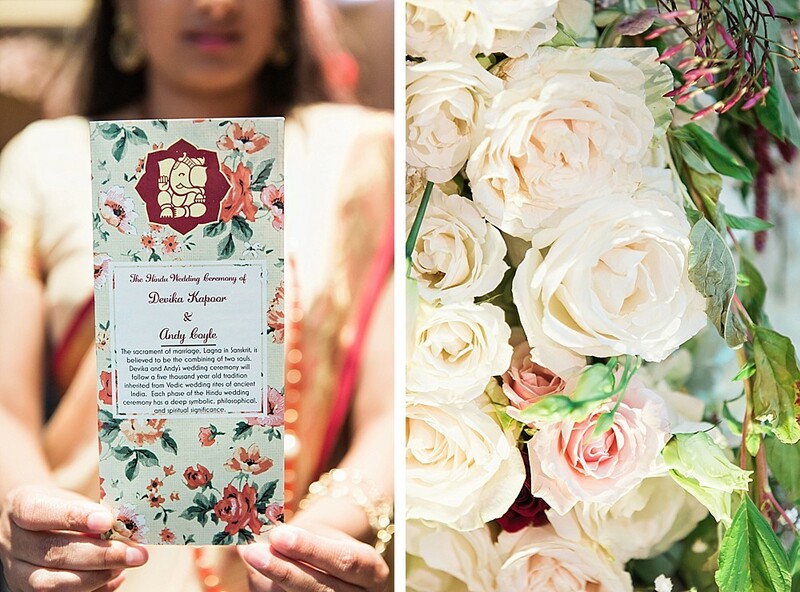 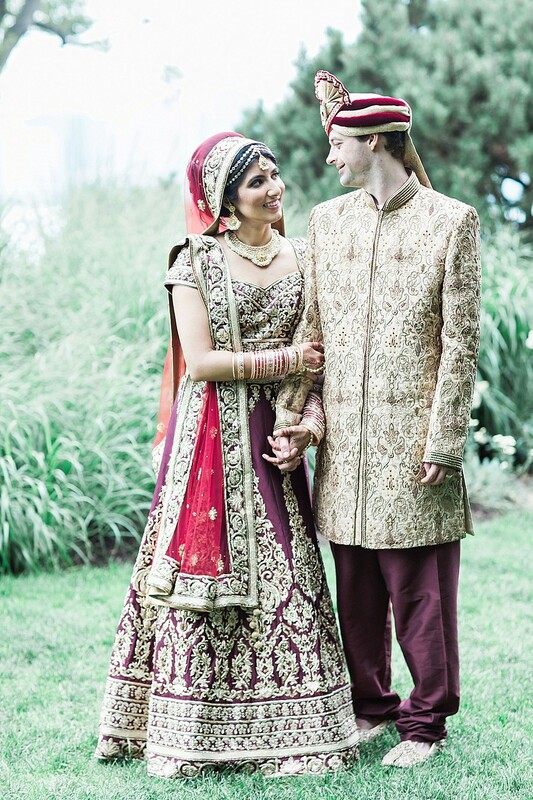 When it comes to blending the traditional and the personal, I am pretty sure Devika and Andy are pros. 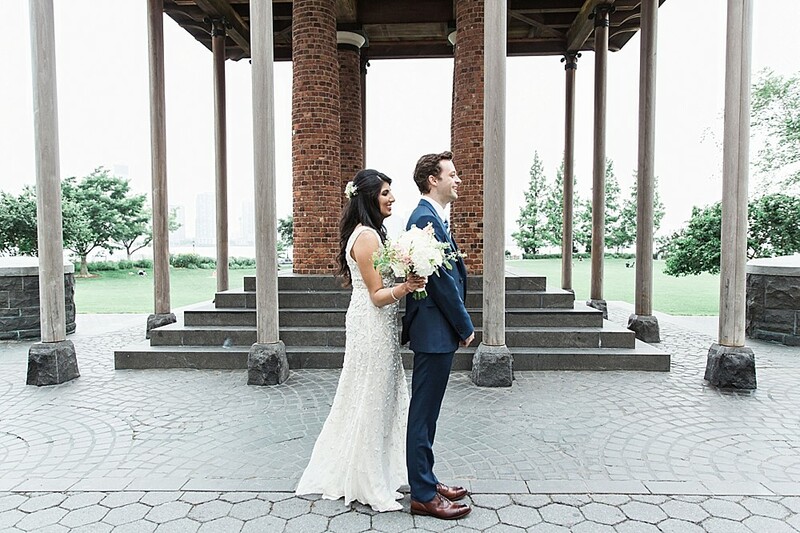 Over the two days, I spent with these two, I got to see firsthand how their love made even unlikely combinations come together seamlessly – like Andy’s Barat! 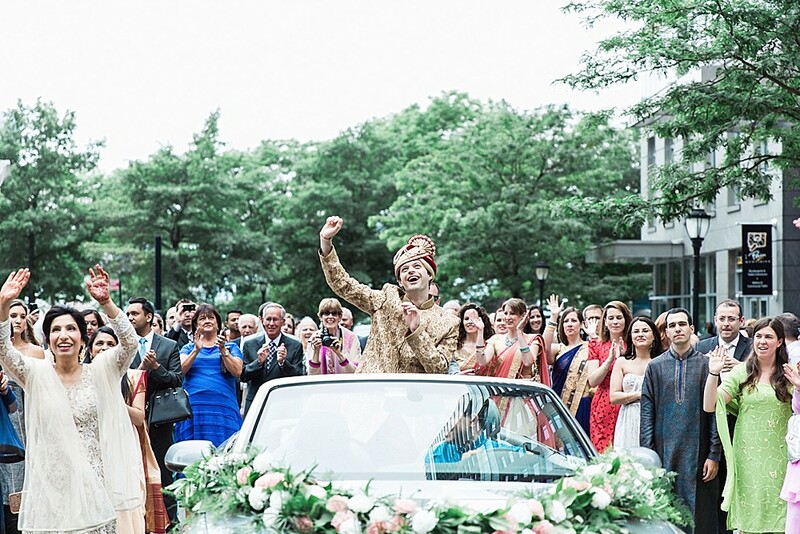 Photographing this groom and his entourage as he rolled down the street, dancing in his convertible, serenaded by a blend of traditional Indian music and bagpipe players was a blast. 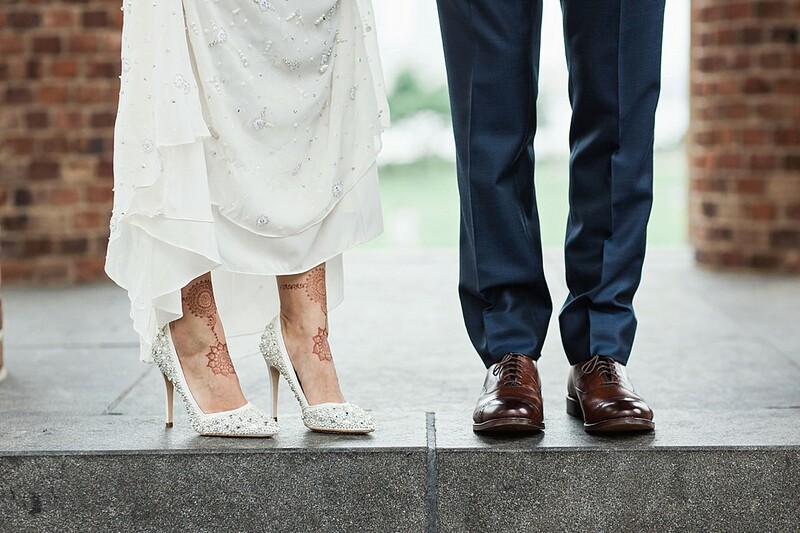 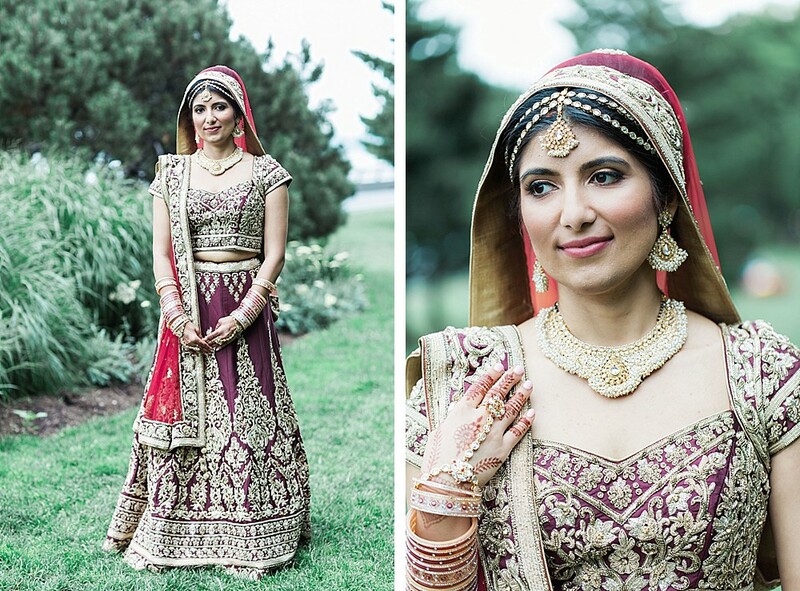 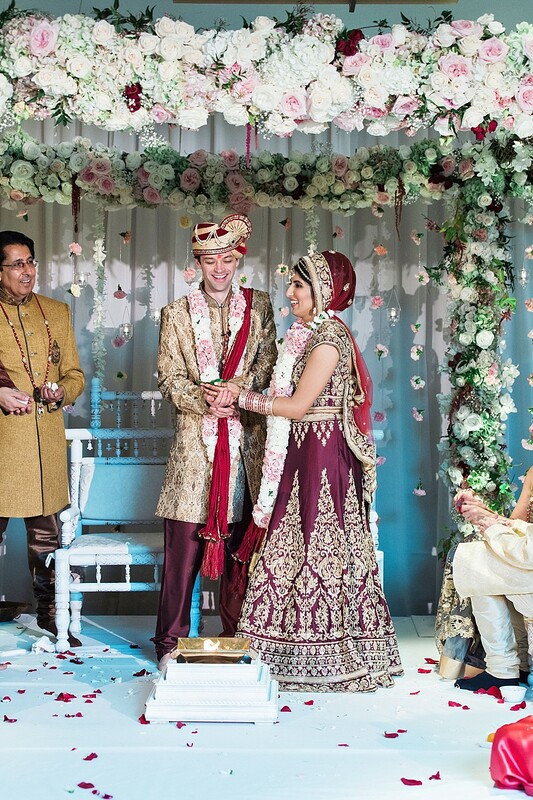 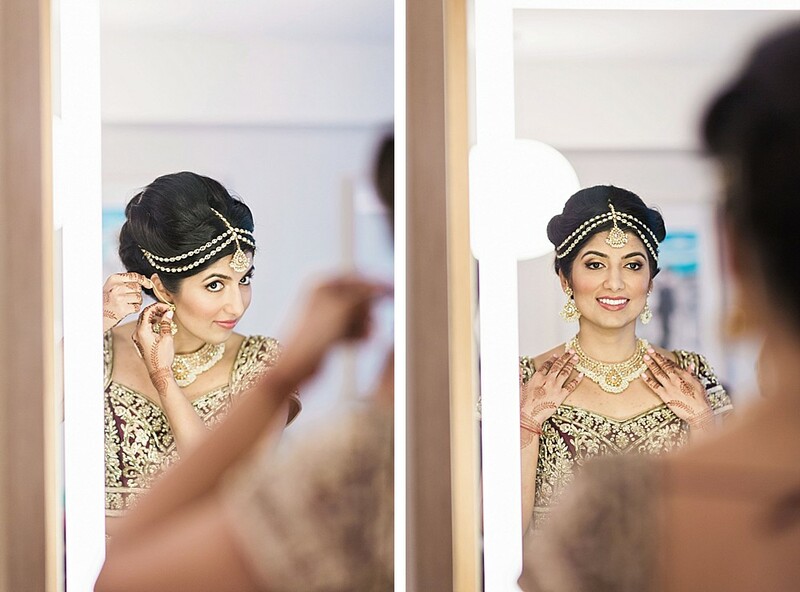 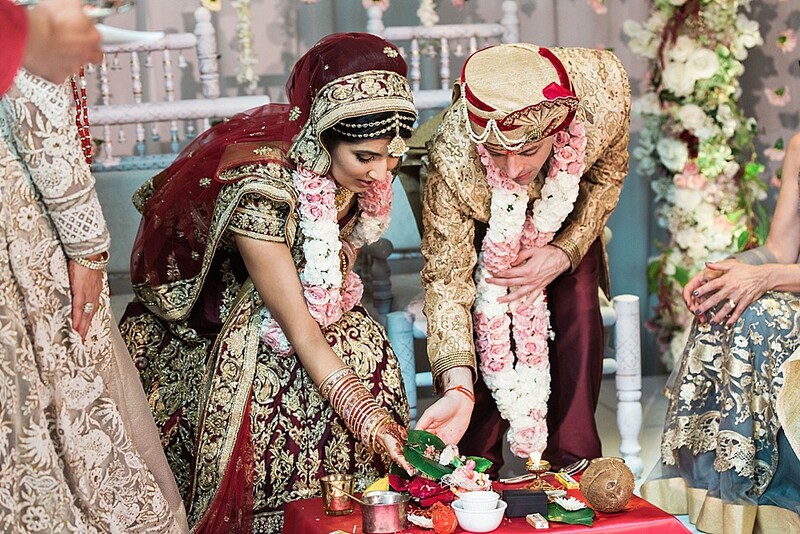 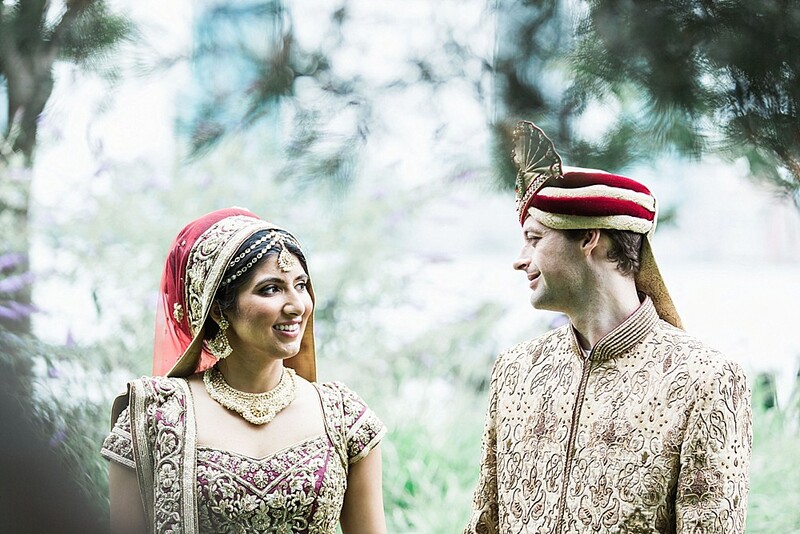 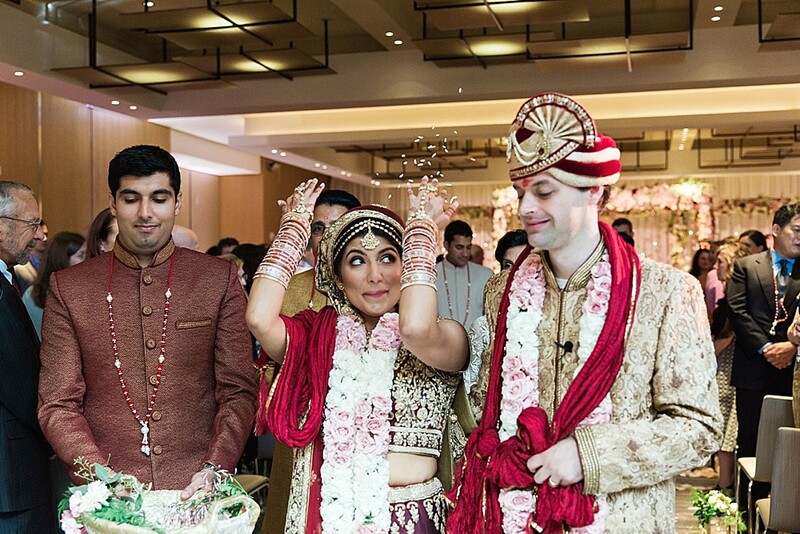 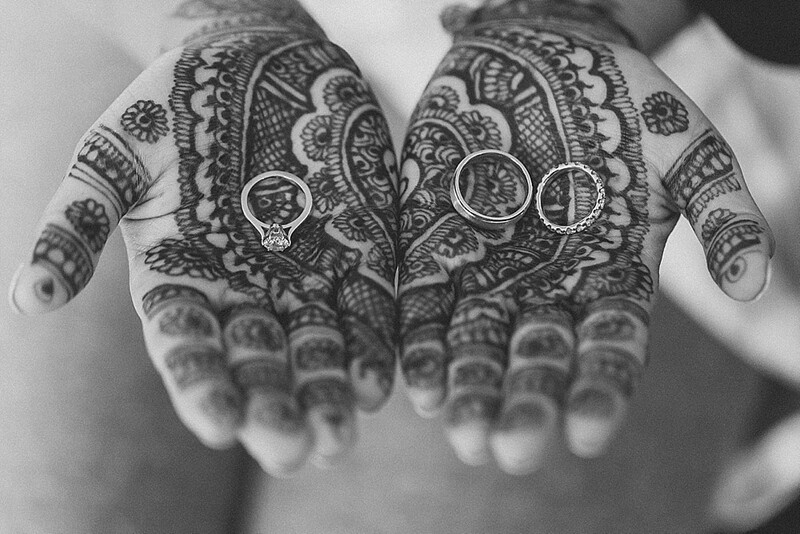 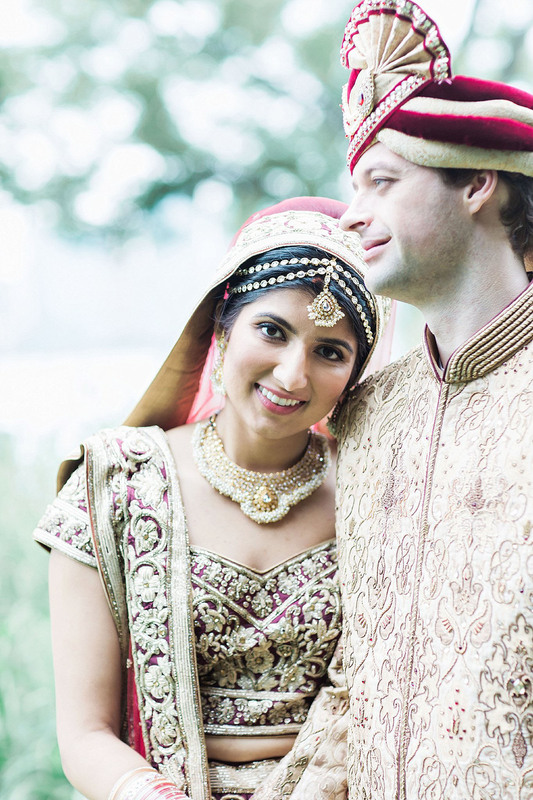 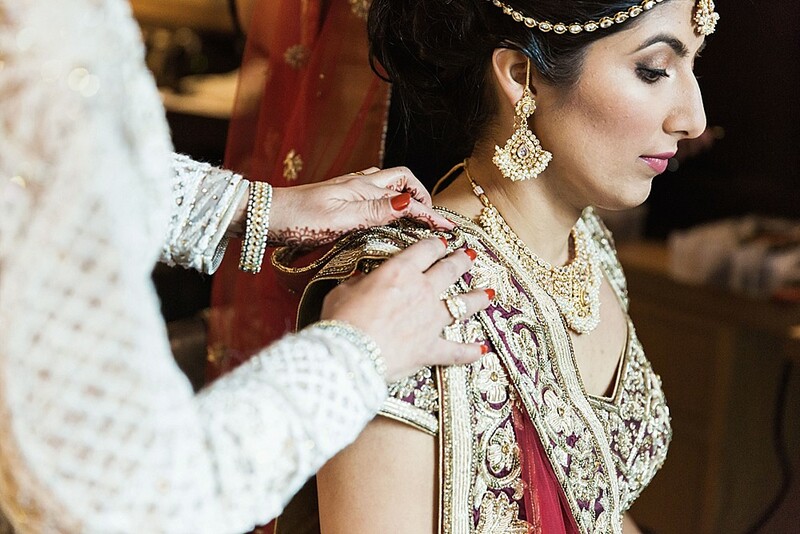 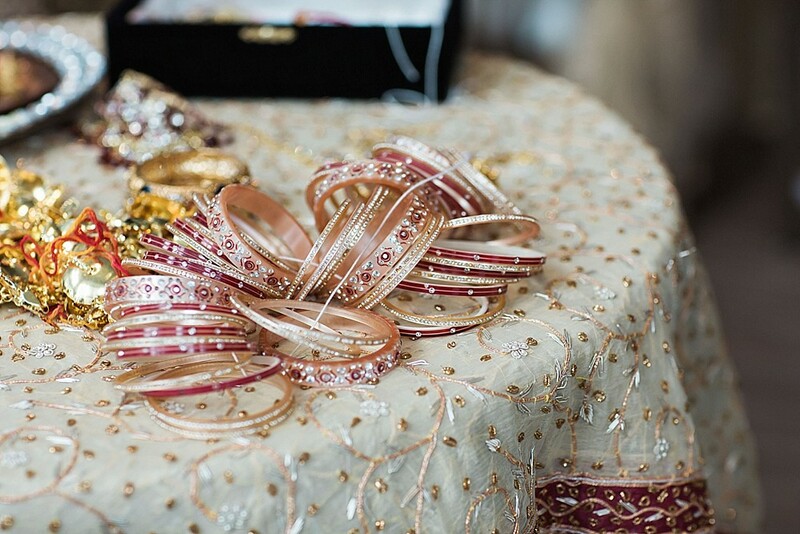 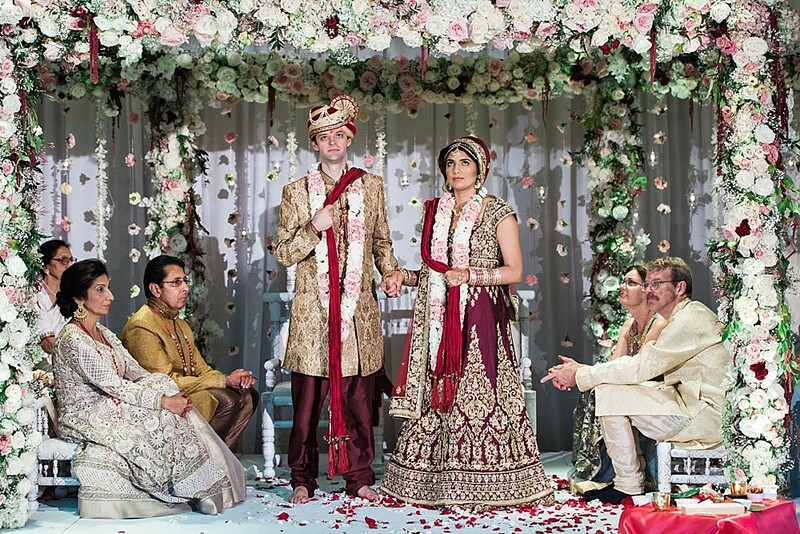 Devika was stunning in her glittering dress and perfect, intricate henna, and Andy looked so handsome in his turban. 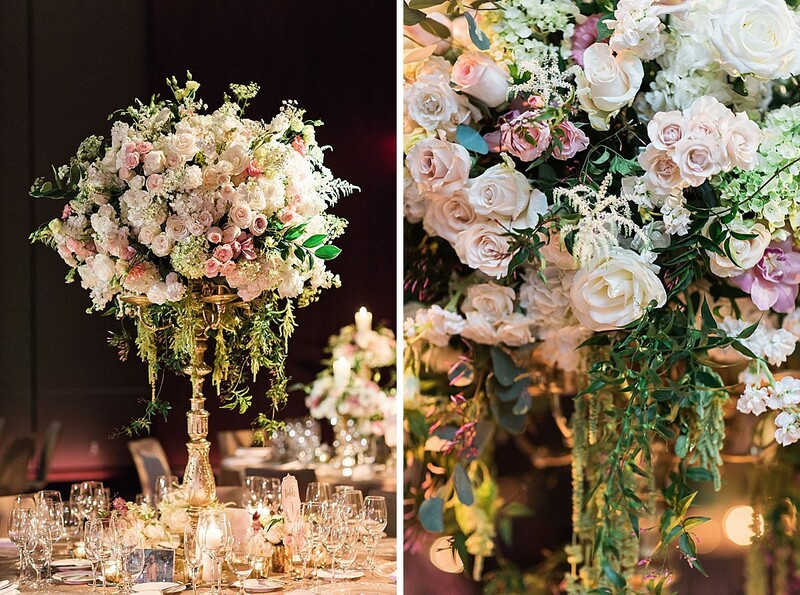 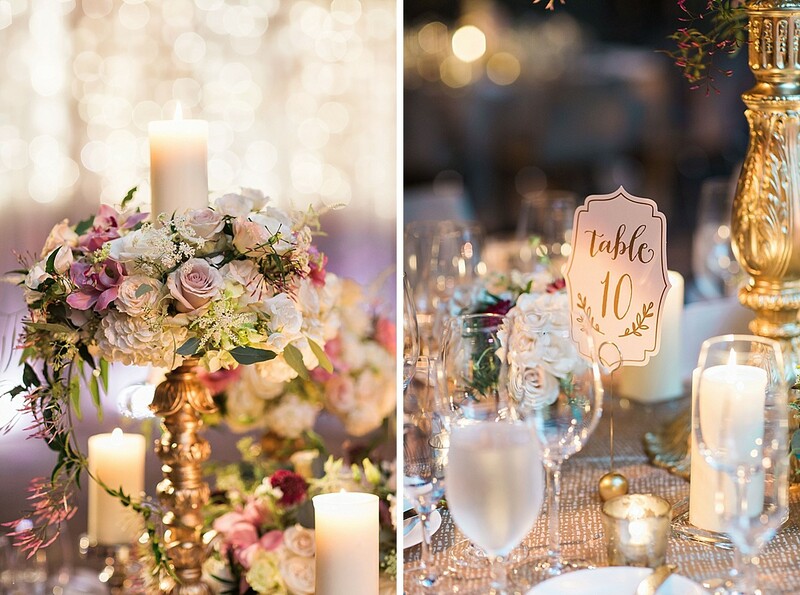 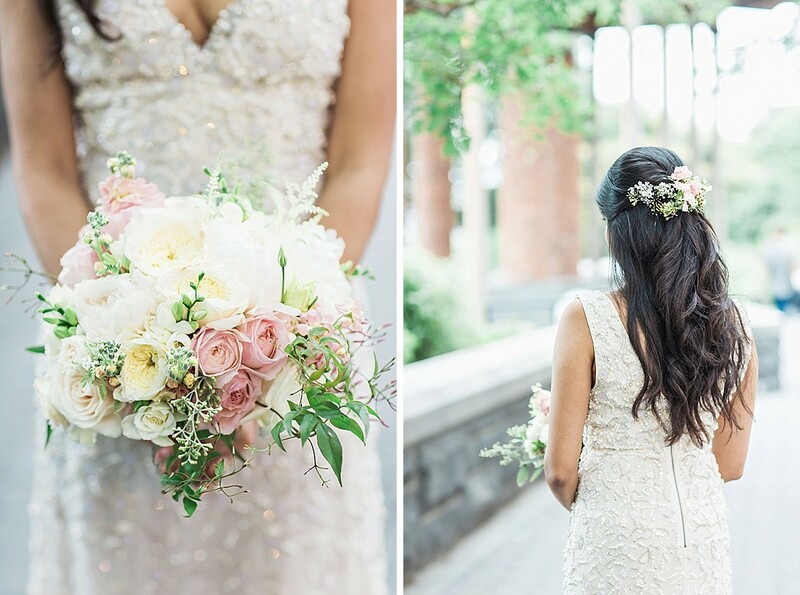 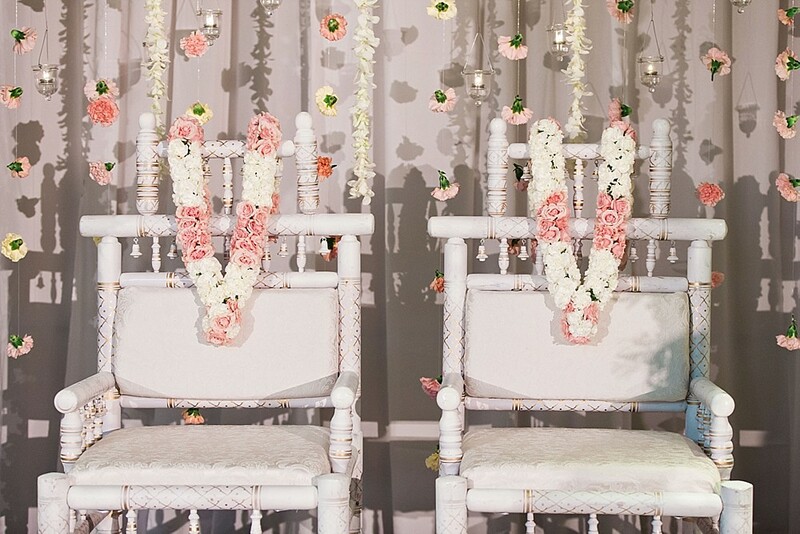 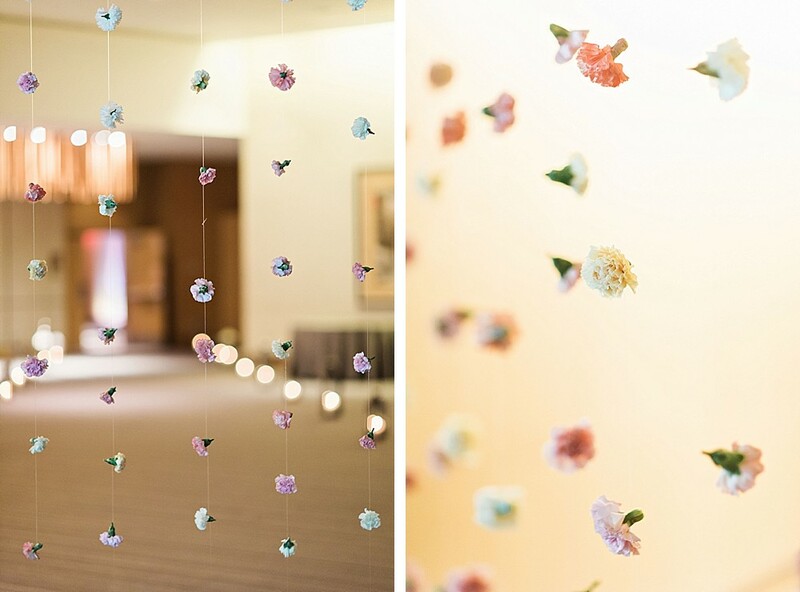 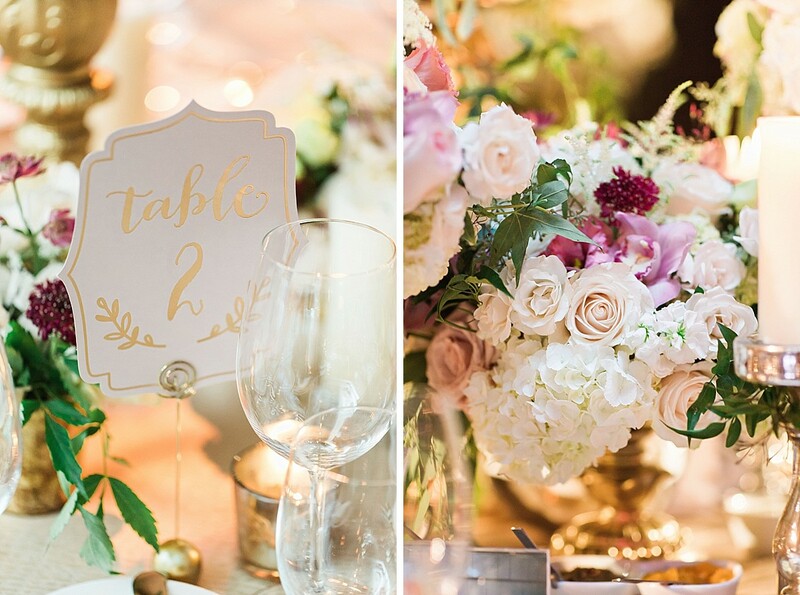 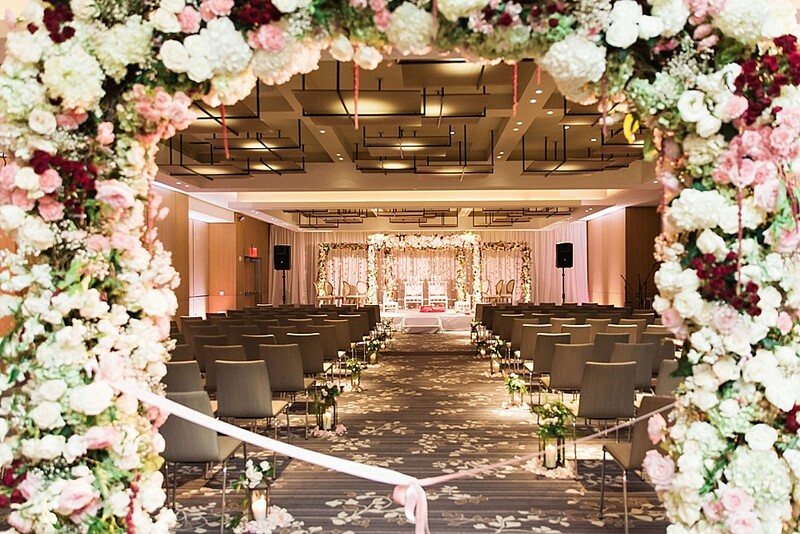 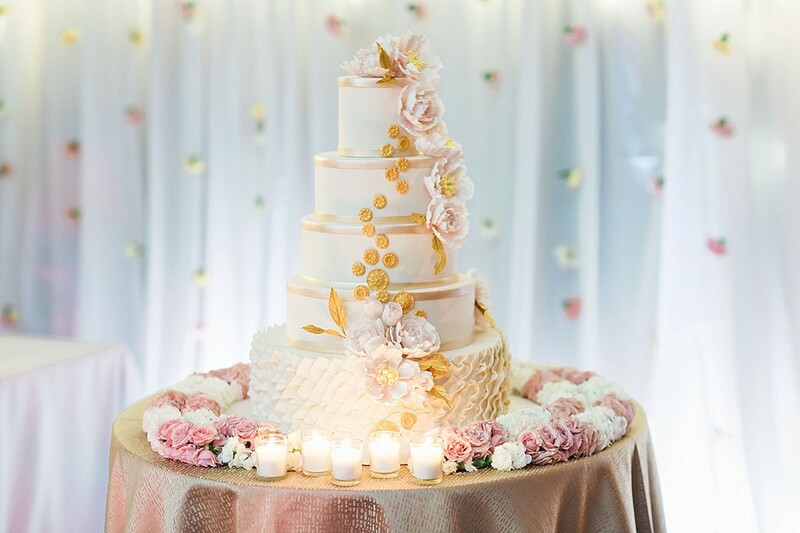 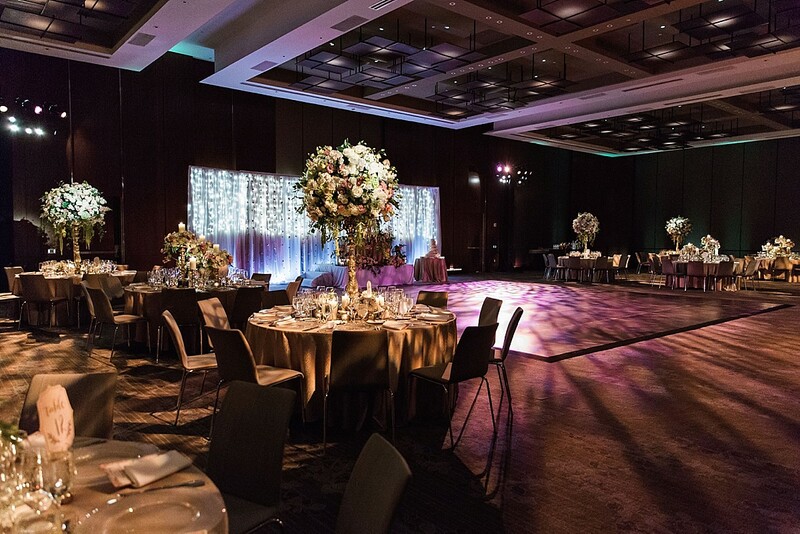 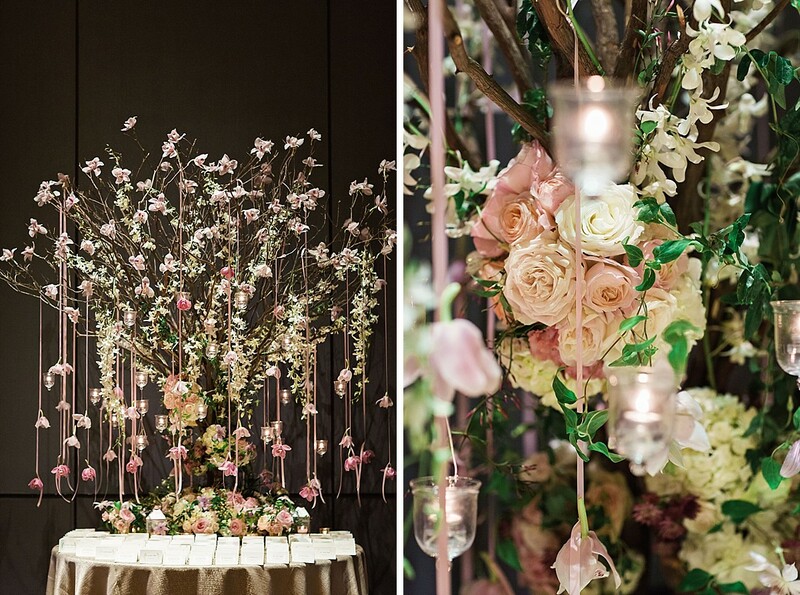 Their ceremony was a floral wonderland. 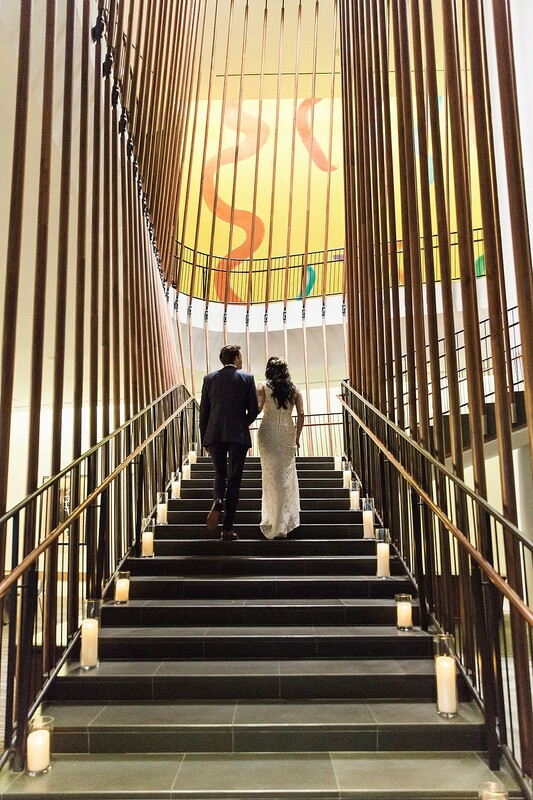 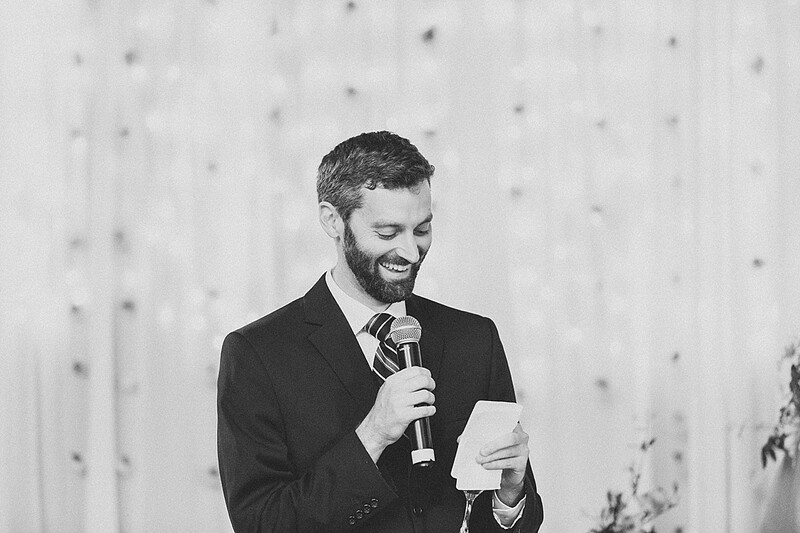 The pictures from their vows remind me of stills from a film. 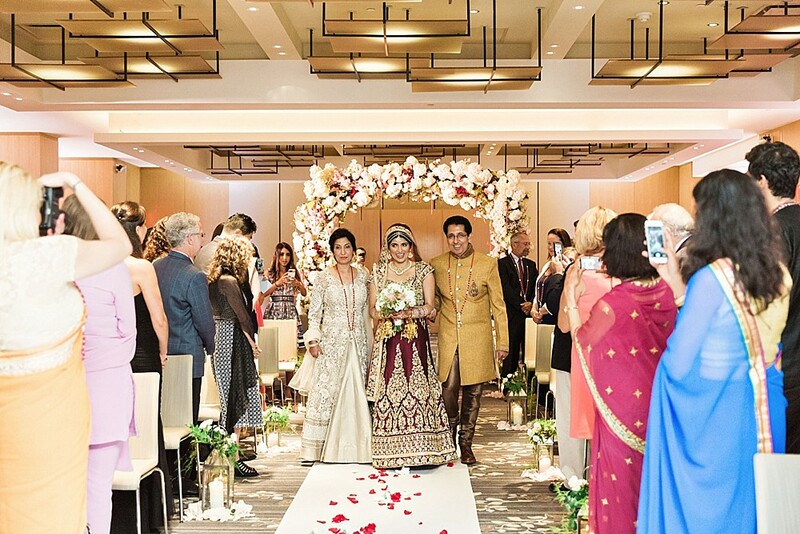 The only thing prettier than all those blooms were the bride and groom, flanked by their parents under the arch. 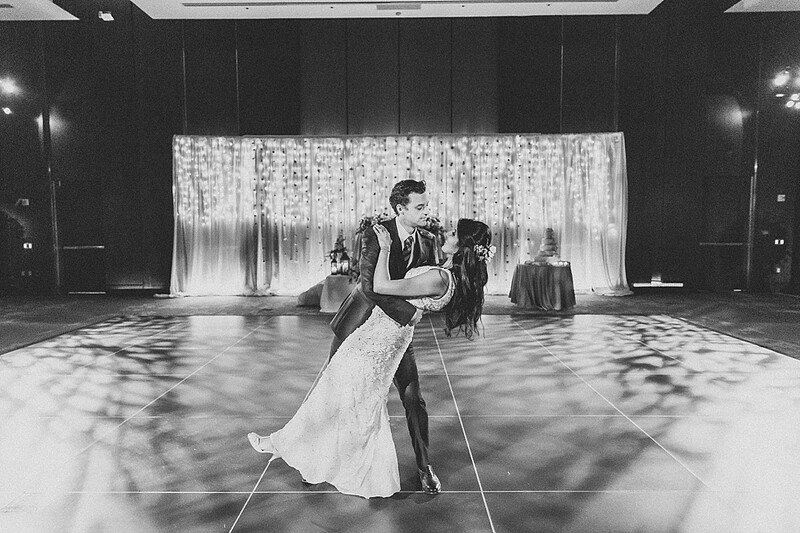 It was magic. 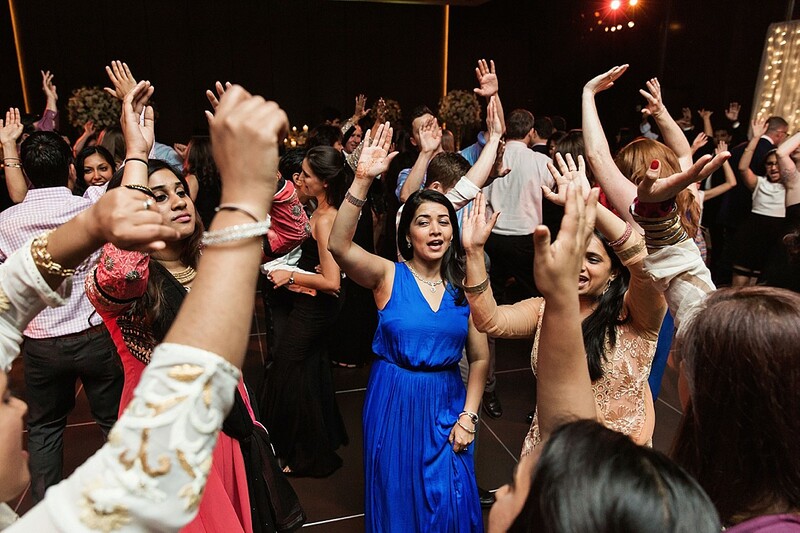 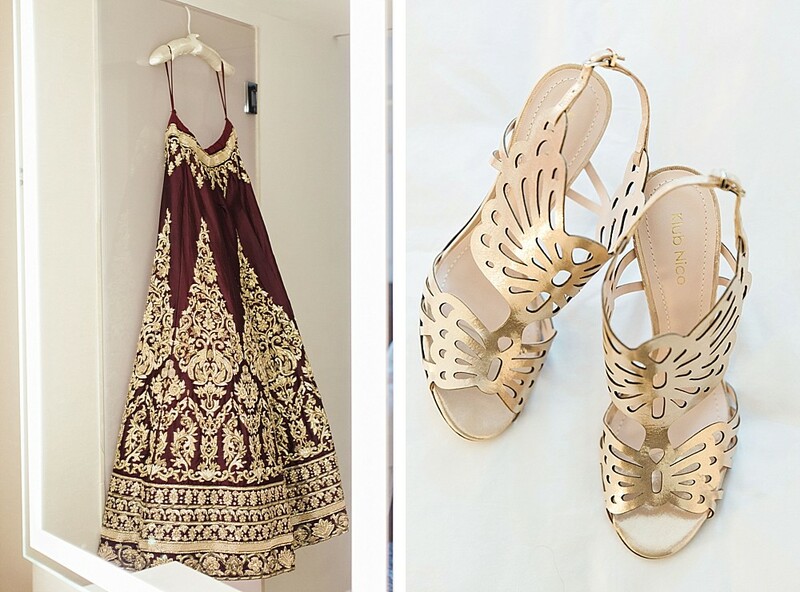 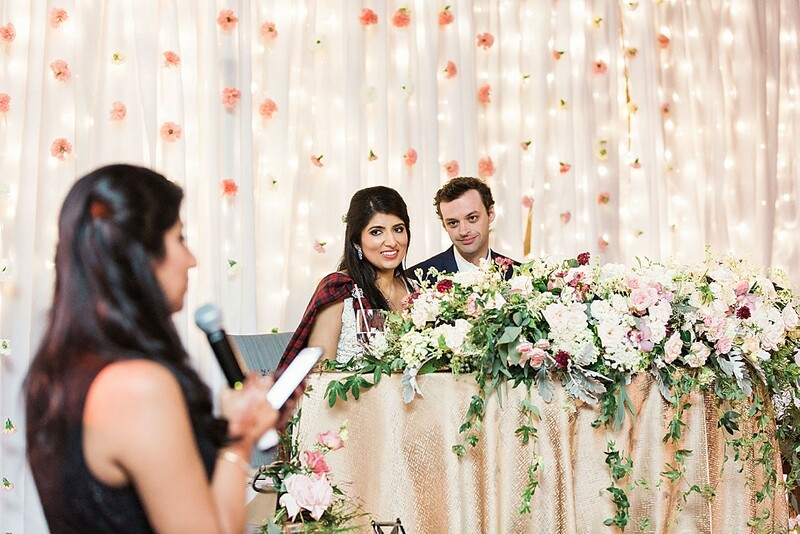 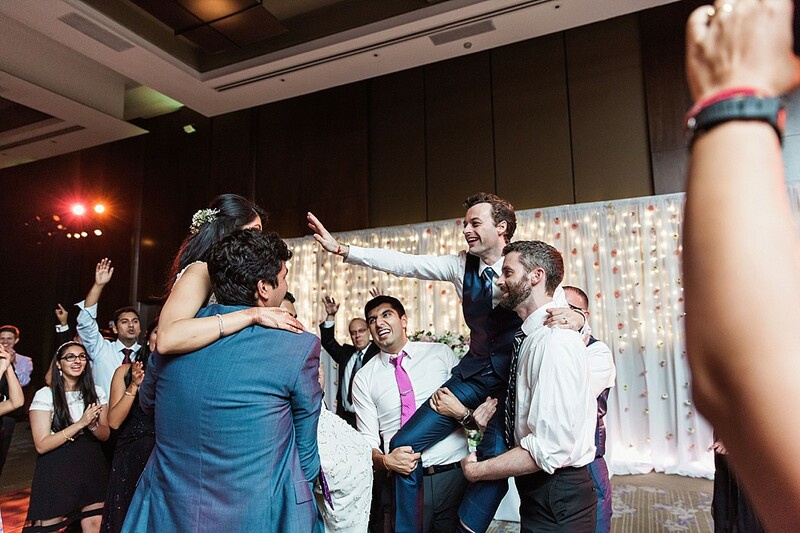 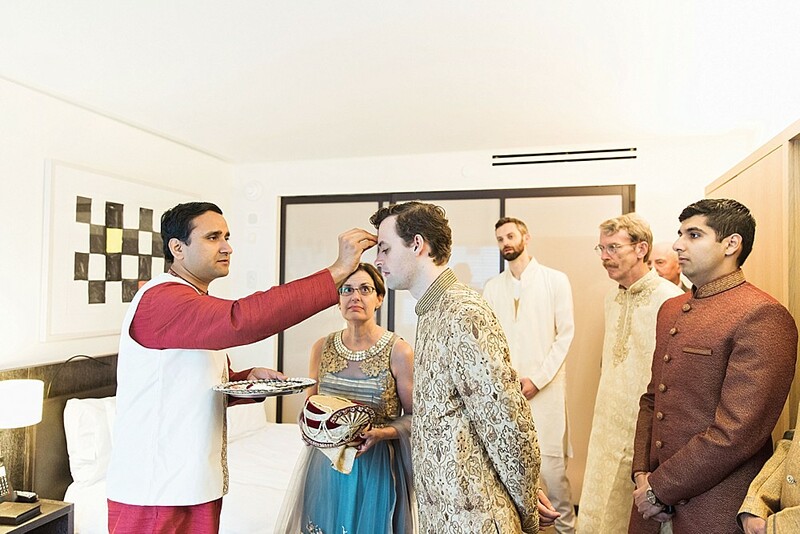 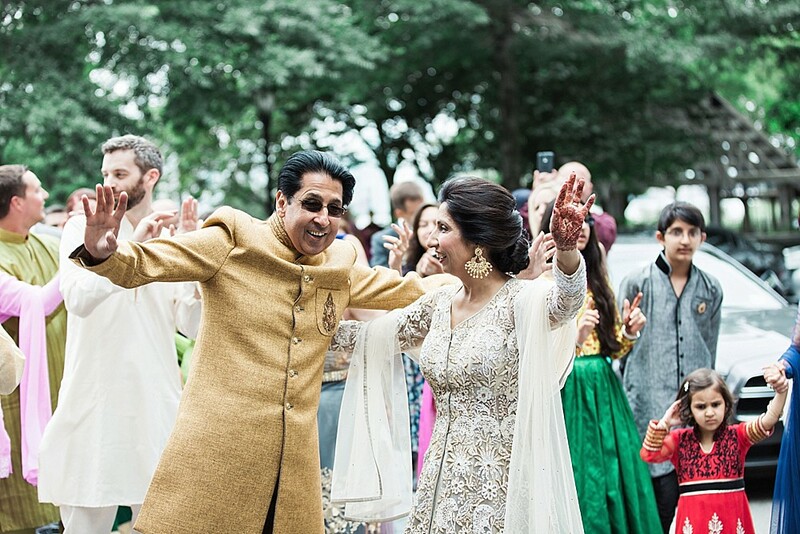 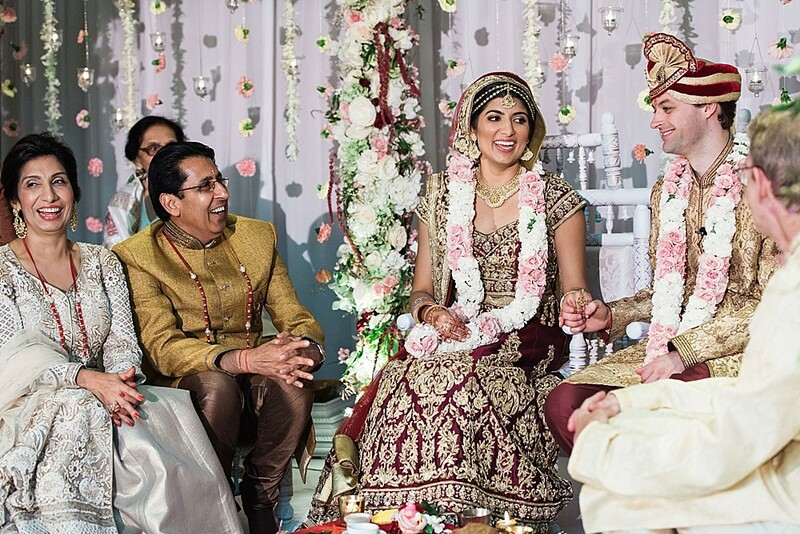 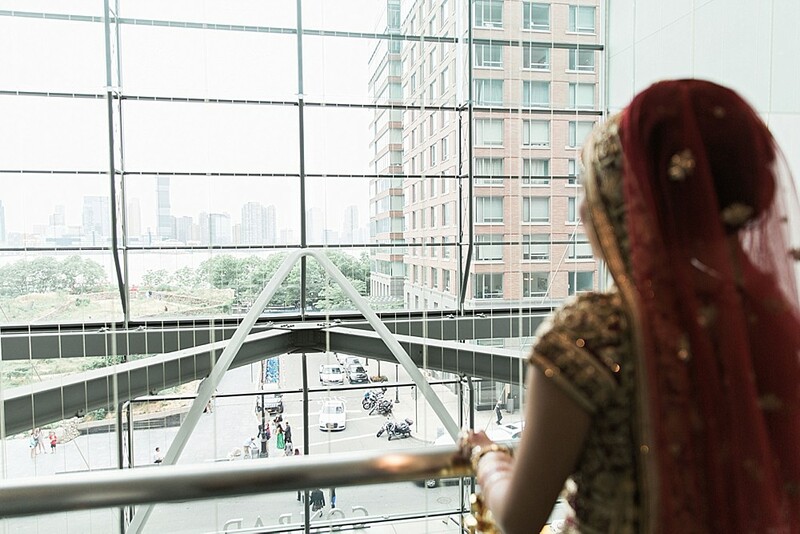 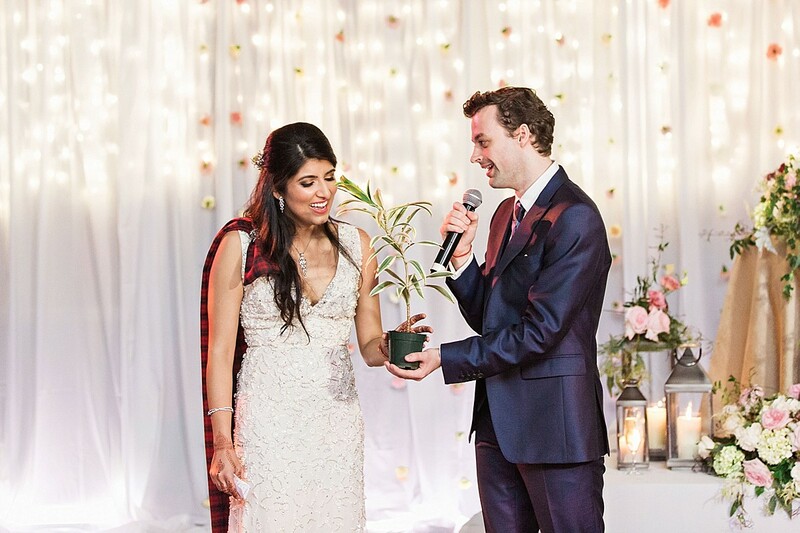 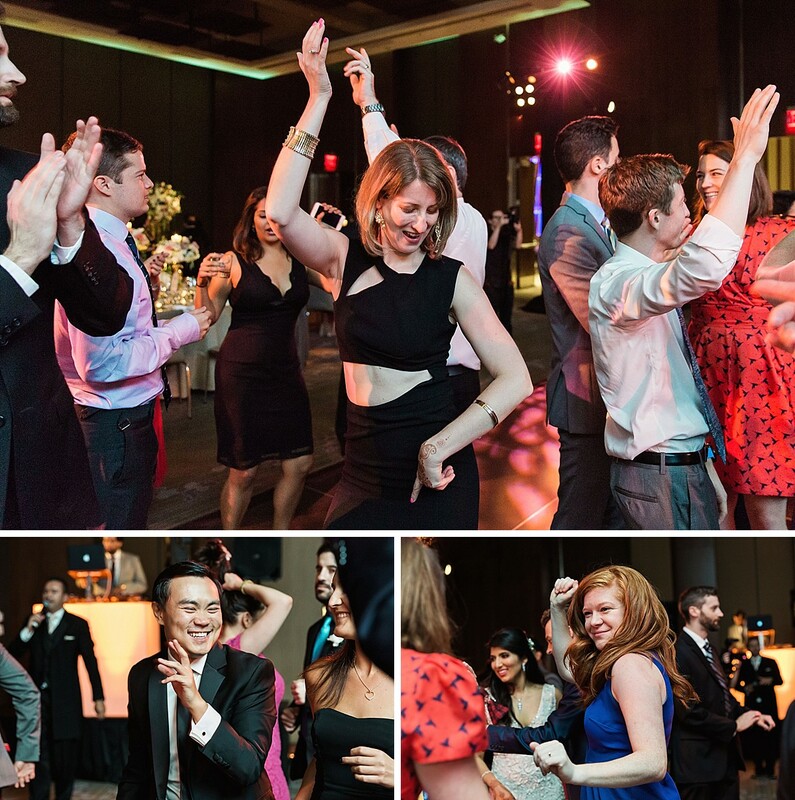 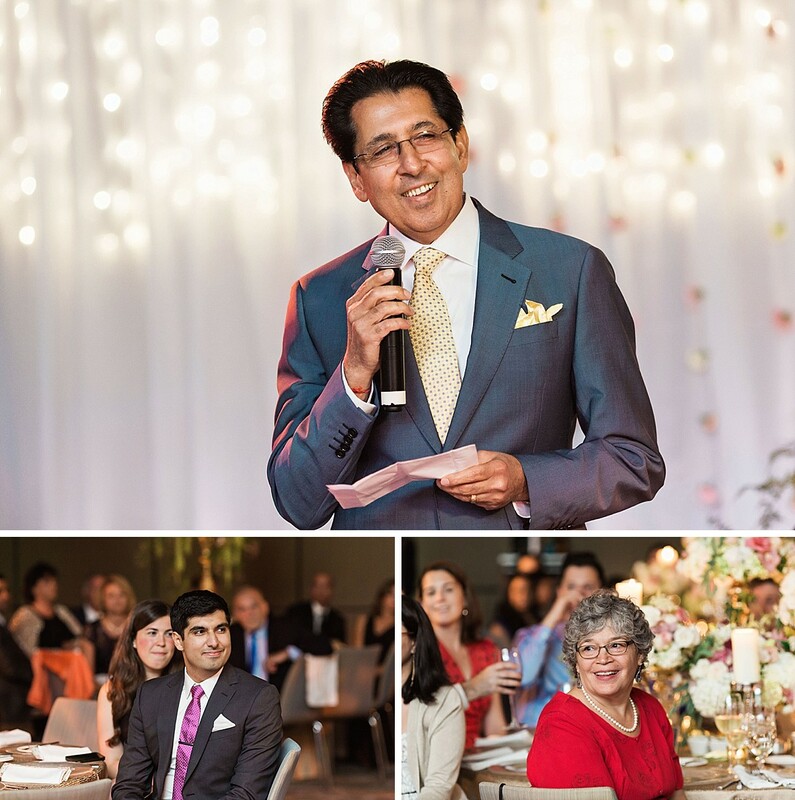 They followed up their traditional Indian ceremony with a reception later that evening. 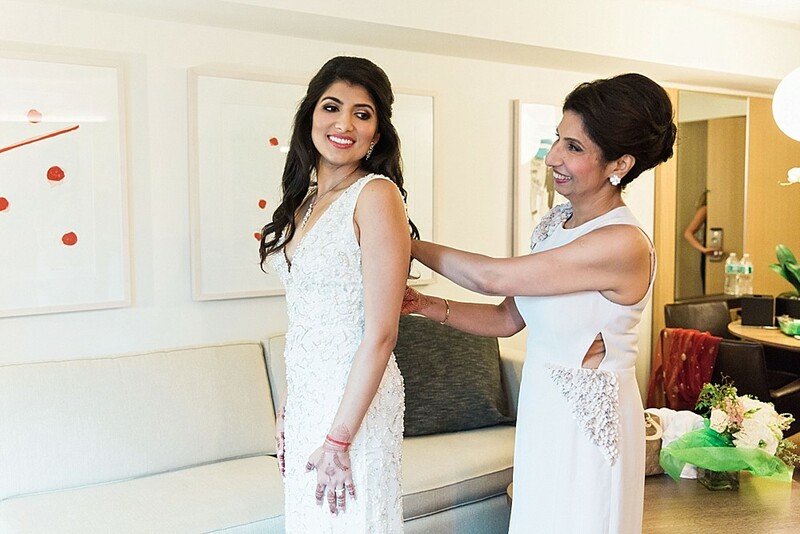 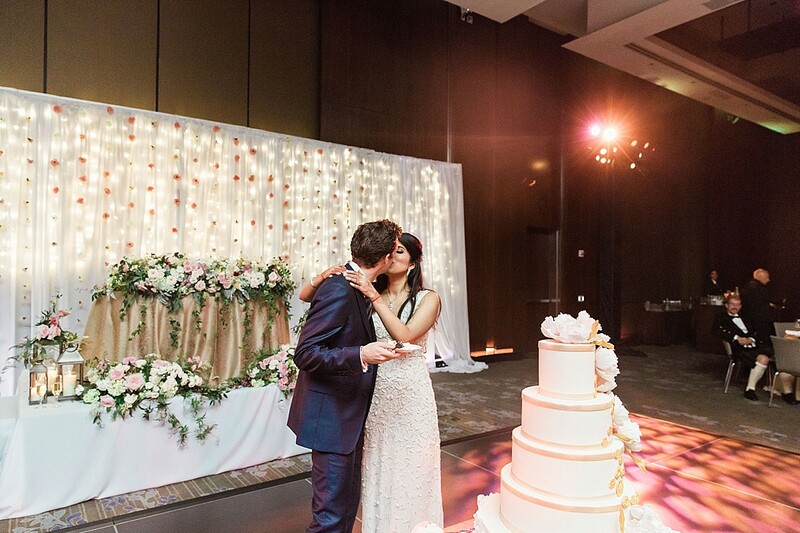 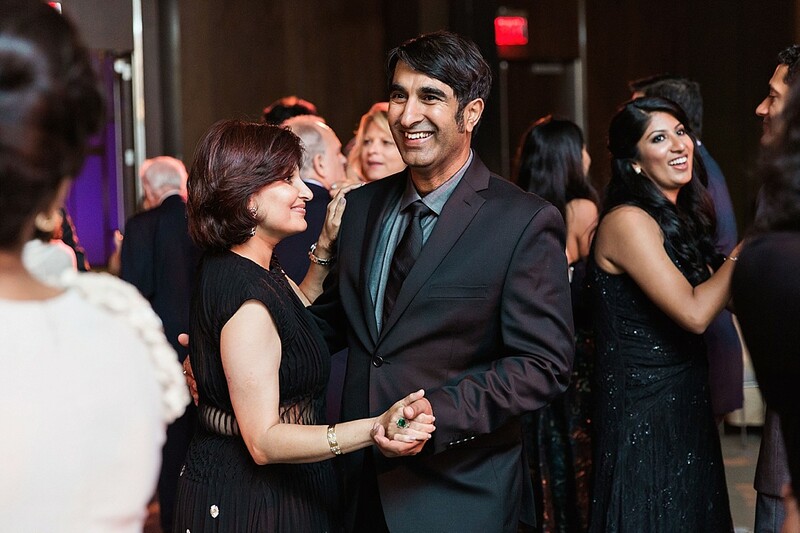 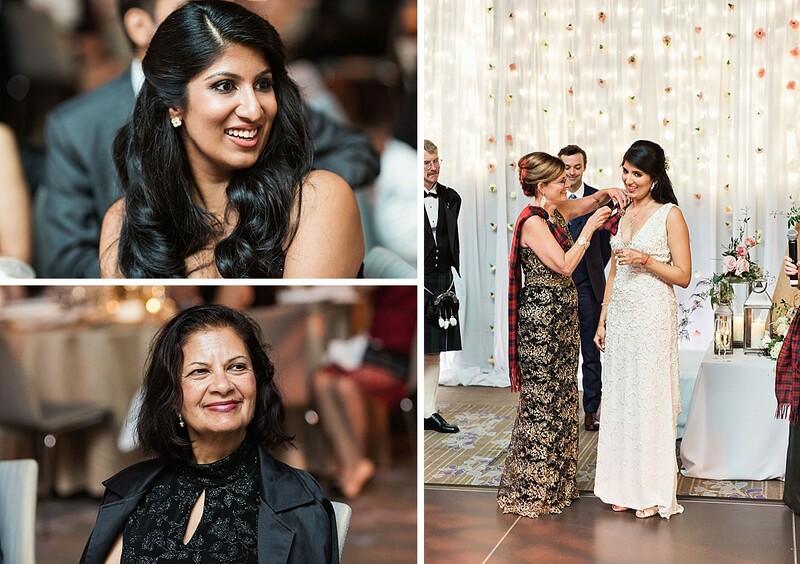 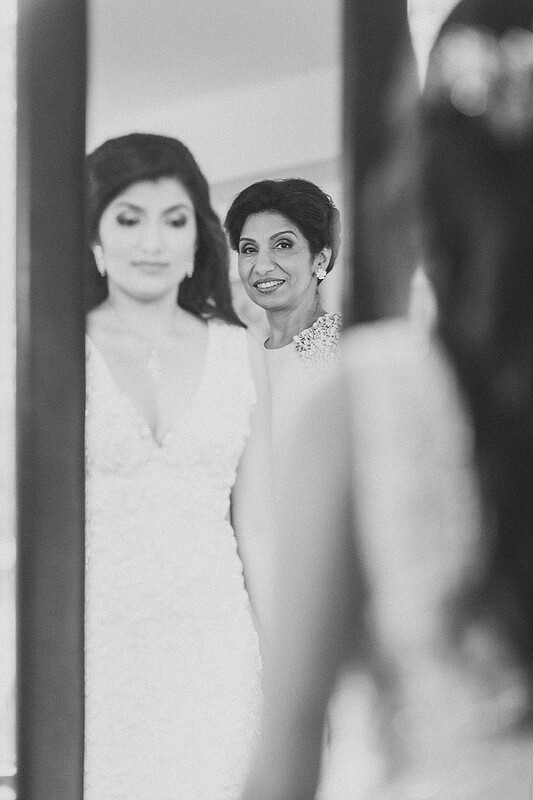 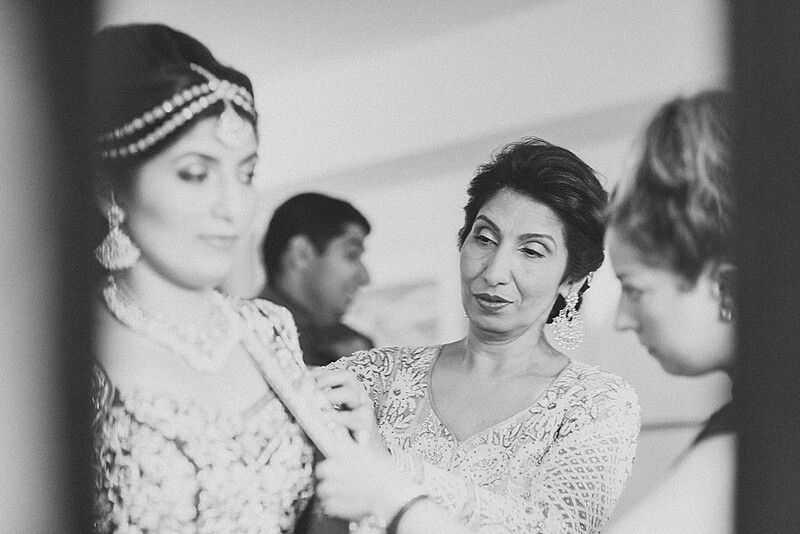 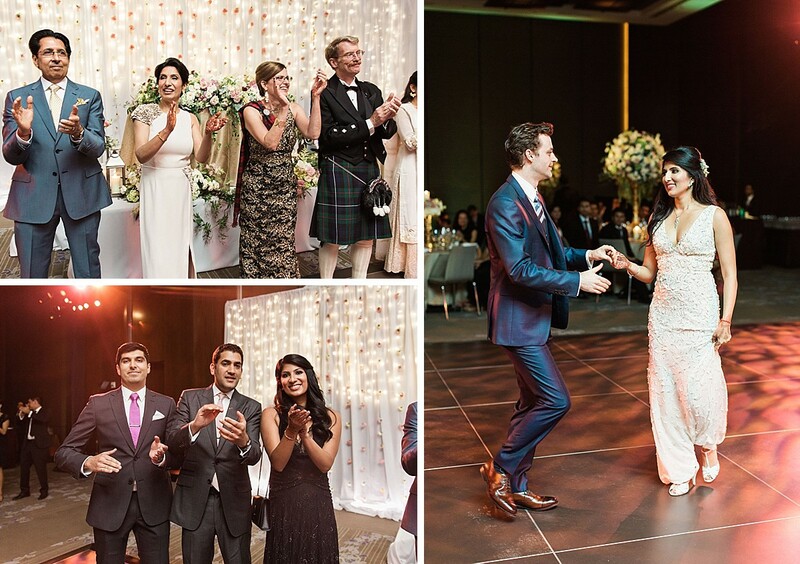 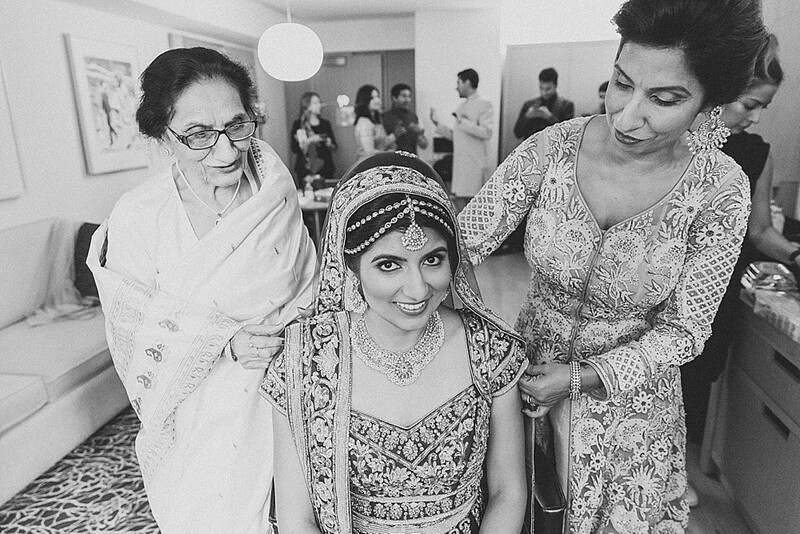 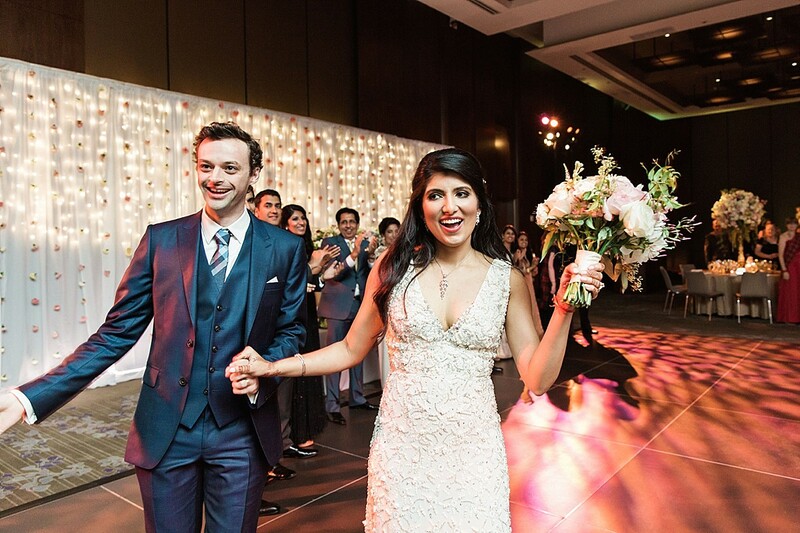 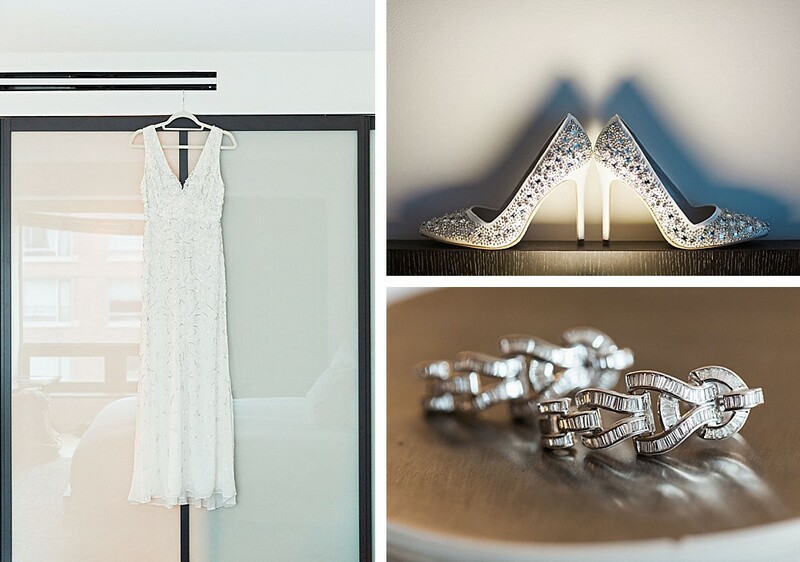 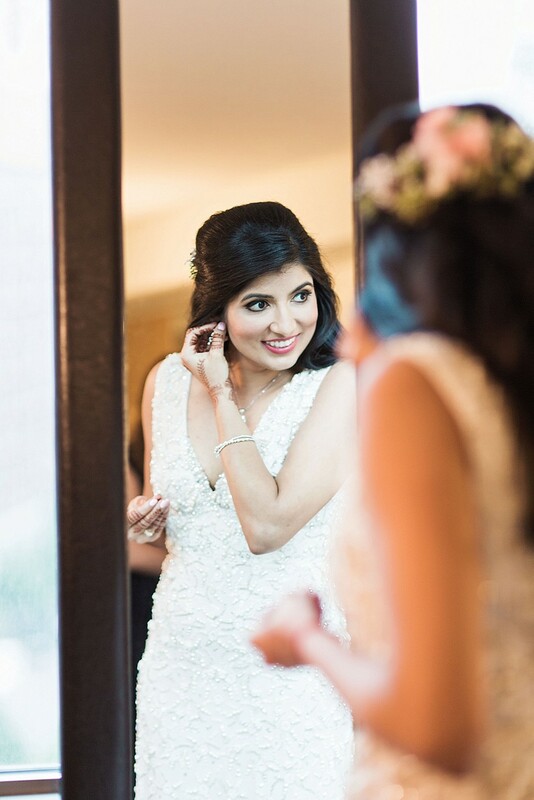 Devika traded her red dress for beaded white, and their families met up to eat, drink, and party! 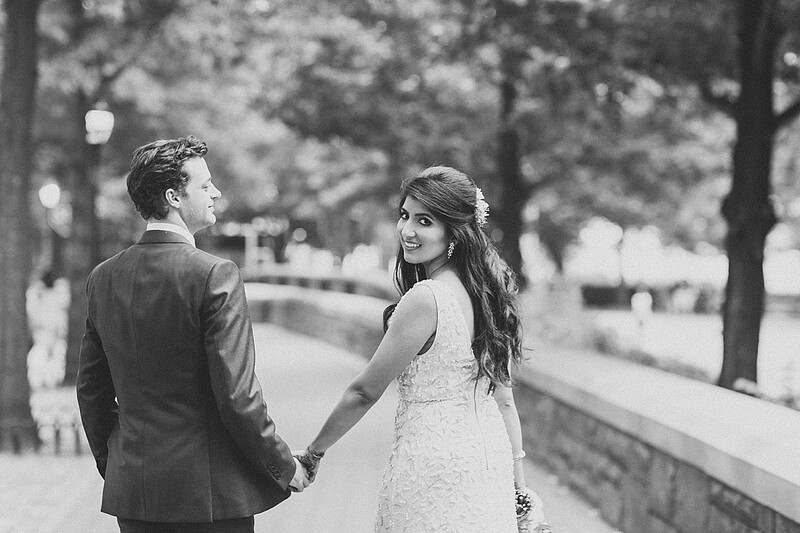 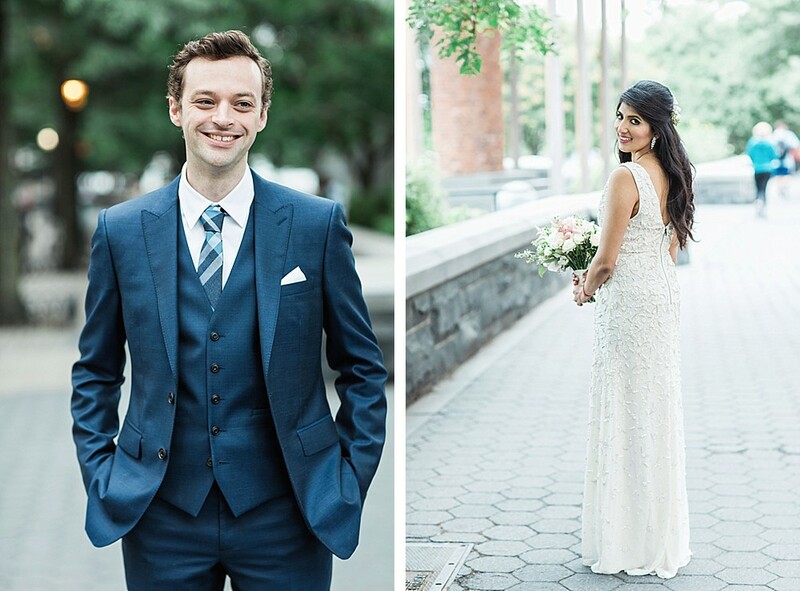 I loved getting to do more fun portraits with these two around Battery Park. 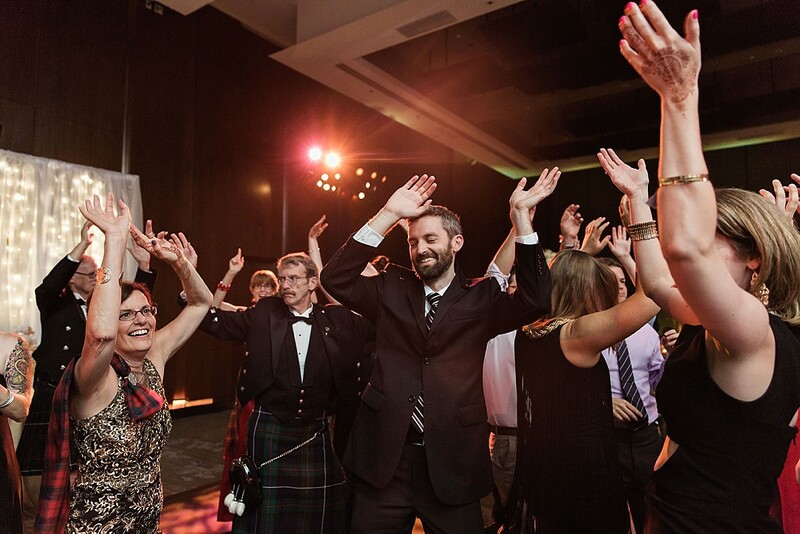 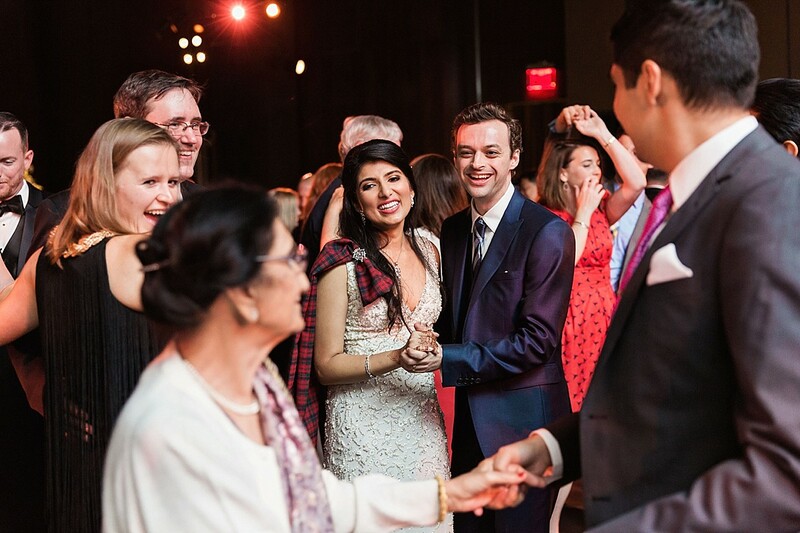 One of my favorite moments was when Andy’s mom bestowed a plaid sash upon the bride, making her officially part of the family in Scottish tradition. 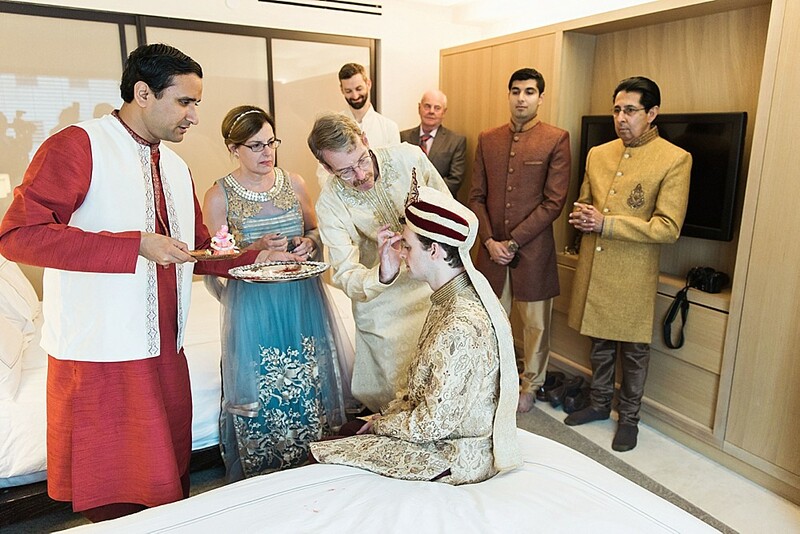 Between their personal spins on traditions, the colors, and the fun these two had together, it’s not a wedding I’ll forget anytime soon! 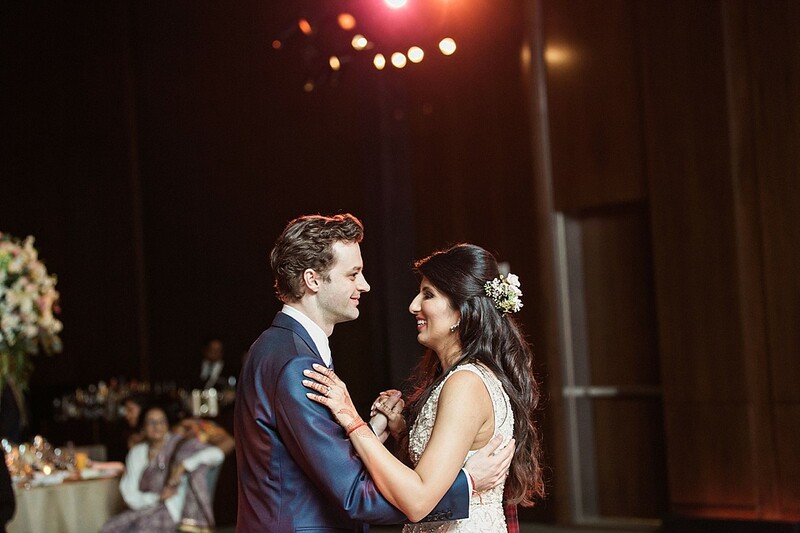 I wish these two all the love in the world.